See below for answers to your questions about delivery, packaging, postage and returns. Our Standard Delivery is charged at £15.00 for all UK orders for awnings and annexes no matter what the quantity or weight. We also offer an Express Next Day Delivery Service (£35.00) this is available on orders placed before 12pm. Spare parts orders vary according to the part or number of parts to be supplied. Our standard charges are £3.00, £5.00, £8.00, £10.00 or £15.00. The appropriate charge will be calculated and added to your shopping cart prior to you confirming your order. We aim to pack your order within 48 hours of it being placed. Your item should usually arrive within 3-4 working days. You can check the status of your order by logging into your account. 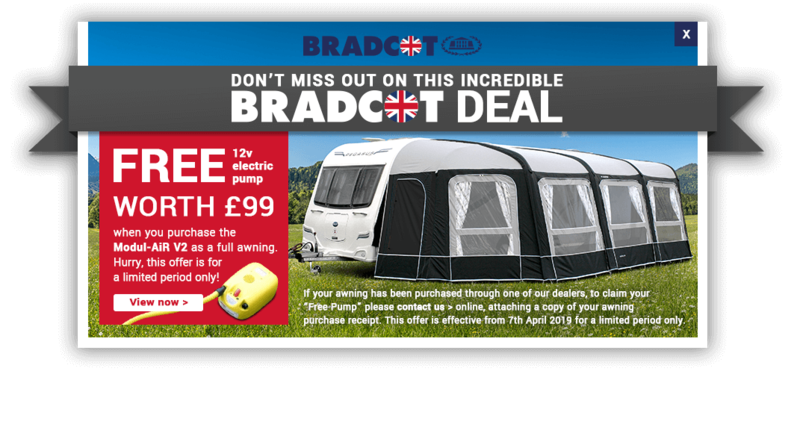 If you have any questions about your order please contact us at info@bradcot-awnings.co.uk or call our customer service team on 01274 306811 Monday-Friday, 9.00am-5.00pm (excluding Bank Holidays). During the summer months (April to August) we are available Saturday and Bank Holidays 10:00am-5:00pm and Sunday 10:00am-4:00pm. Delivery dates cannot be completely guaranteed - we aim to deliver our products to you within 5-7 working days, but occasionally this is not possible. If you have not received your product within 10 working days please contact our customer service team on 01274 306811. If you change your mind about an order and want to cancel it, you can do so up to the point when it is despatched. Orders are normally processed within 48 hours, so we may have already packed your order and made arrangements for it to be sent when you cancel it. If this is the case then we can't always stop the order from being delivered; once you receive the order, just return it to us for a refund. NB We will not refund postage and packing charges. What happens if I am not in when you deliver? All our products are despatched by courier and will usually require a valid signature as proof of delivery. However, if you are not in when your goods arrive, a card will be put through your door giving details of the attempted delivery date and time, and giving you the local sorting office telephone number, address and opening hours. Please contact the sorting office to arrange a convenient time and date to re-deliver your parcel. We deliver to all UK mainland addresses. International delivery charges are available on request. 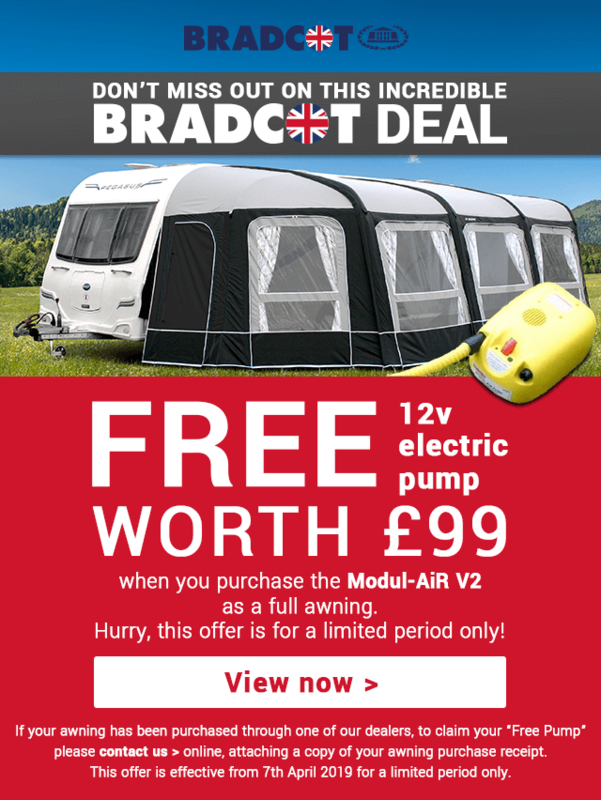 Please note, Bradcot UK is not responsible for payment of import duty. For further details on international delivery options and charges please call our customer service team on +44 (0)1274 306811. Will you tell me when my order has been despatched? Yes, just enter your email address when you place your order and we’ll email you when your order is ready to be despatched from our warehouse. Once you have placed your order, you will receive an email confirming that your order has been placed, with a unique reference number. Yes, when you register at Bradcot UK, you can arrange for a separate billing and shipping address. You can update these as and when necessary; go to My Account in the navigation bar at the top of the page and log in. From there you can arrange for a separate billing and shipping address.